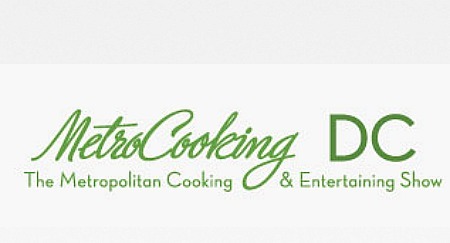 WASHINGTON,/PRNewswire/ — Some of the biggest names in the culinary world will grace the stage at the 2015MetroCooking DC Show, October 24-25, 2015 at the Walter E. Washington Convention Center as Giada De Laurentiis and Michael Symon return to headline this year’s event. This 10th Anniversary show is organized by E.J. Krause & Associates. In addition, local and regional chefs all honored as James Beard Foundation winners, nominees or as guest chefs at The James Beard House, will cook on the Beard Foundation Stage presented by IKEA. 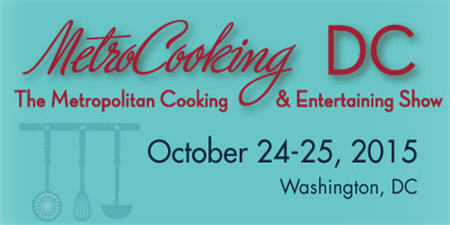 Both days chefs from L’Academie de Cuisine will lead cooking classes; on October 25 more than 50 restaurants will offer signature tastes at the Restaurant Association of Metropolitan Washington’s Grand Tasting Pavilion. In a new feature launching this year Chef David Guas, author of Grill Nation and host of the Travel Channel’s American Grilled will host the BBQ Bash with the area’s top barbecue restaurants and pitmasters offering grilling tips and tastings. James Beard 2015 Pastry Chef of the Year and Master Chef judge Christina Tosi will take the Celebrity Theatre stage presented by 94.7 FRESH FM on Saturday, October 24. Throughout the two day event there will be non-stop activities including ongoing tasting and entertaining workshops from knife skills to holiday entertaining and a beer, wine and spirits pavilion that will highlight local mixologists. Known as a great shopping show, this year 200+ specialty food exhibitors will showcase products – all for sale. The popular Natural Foods Pavilion will feature organic and natural products. General admission tickets are $18, Celebrity Theater performances, cooking classes, BBQ Bash and Grand Tasting Pavilion are ticketed events sold separately. Ticket packages are available as well as VIP tickets affording meet-and-greet receptions with De Laurentiis and Symon. Walter E. Washington Convention Center – Washington, D.C.